Master Hire flex drive pumps are submersible pumps driven by rotating flexible shaft from the drive unit to the pump head. 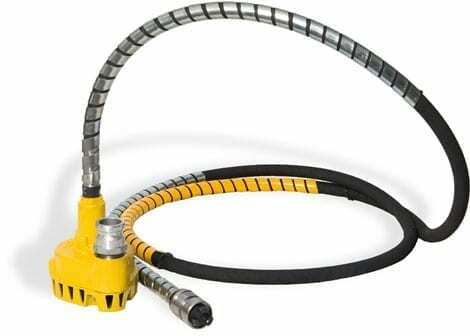 Submersible operation of the pump head ensures that it is self-priming and does not require a suction hose. The pump is designed with wide passages through the strainer, impeller and body to allow the unobstructed passage of solids. It is suitable for handling fluids with a high solid content such as sand, sludge, silt, effluent up to 60% in suspension, oil and water. The sludge pump suits the most common applications including: dams, mines, tanks, tankers, swimming pools, pits, trenches, excavations and construction sites. Category: Pumps & Accessories. Tag: Flex Pumps.